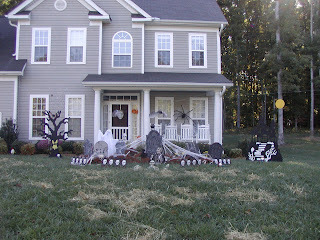 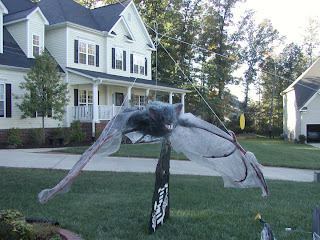 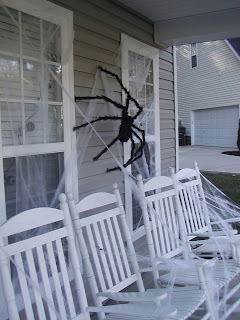 Wendy and I spent most of Saturday and all day Sunday getting our Halloween decorations set up. 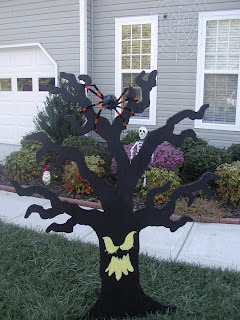 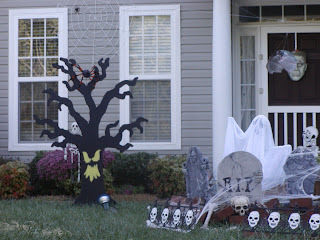 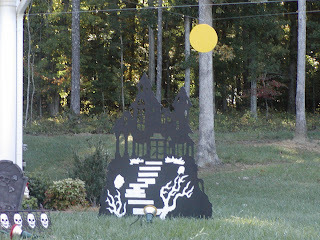 I bought a set of templates online for a haunted house and spooky tree. 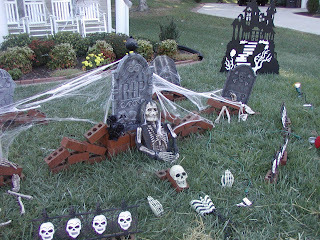 This year we set everything up closer to the house than last year. 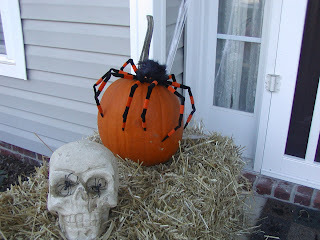 Here are a couple quick pics I took this morning. 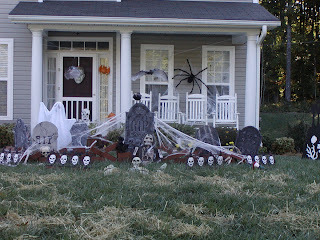 I'll post some more later of night shots.